Pee Wee is a regular blog guest around here thanks to his adorable nature and photogenic qualities (he loves photoshoots, true story). Seriously, on my latest home tour about 70% of the comments mentioned Pee Wee, and I’m thrilled you all love him, too, you guys. Awww. It’s hard to wrap my head around the fact that my sweet baby boy is 10 years old young. I remember his puppy days like they were yesterday, and I love seeing his tan little face turn white as he ages gracefully and beautifully. 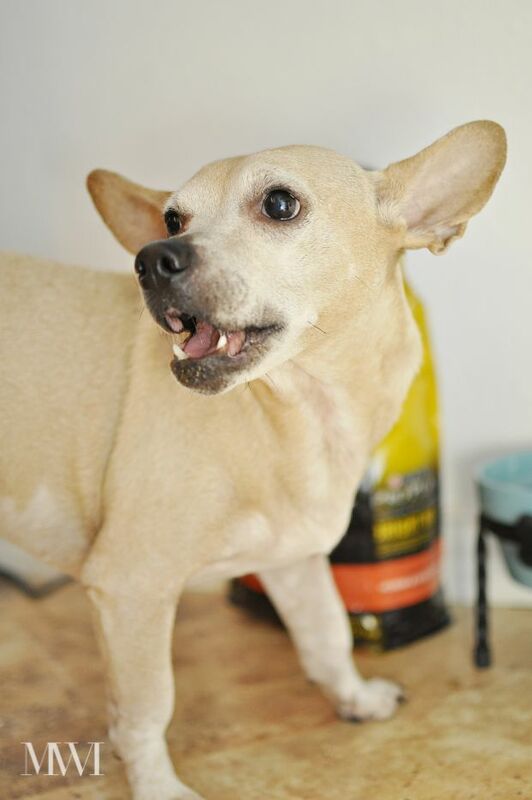 Pee Wee is one of over 87 million dogs in the U.S. and nearly 44% of them are senior dogs age 7 or older. Pee Wee is taking a bit easy these days, and statistically speaking, most dogs’ memory, alertness, and learning abilities start to decrease a bit at age 7+ due to the glucose metabolism in their brain. 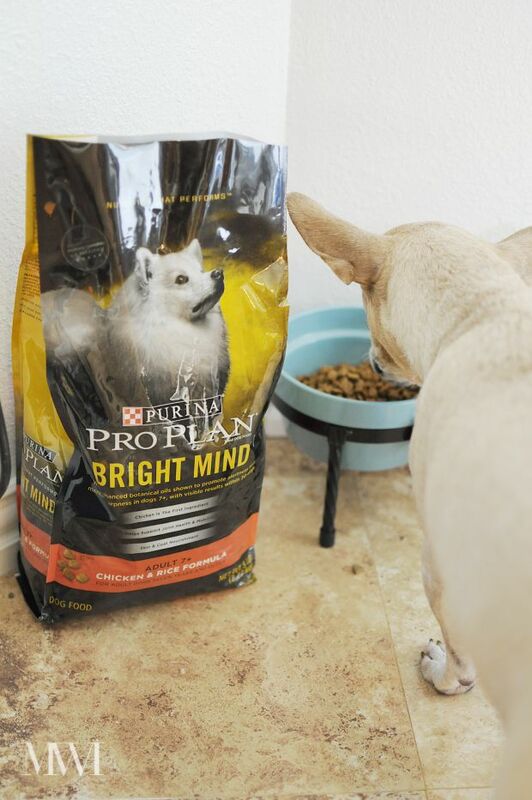 A new food, Purina Pro Plan Bright Mind, aims to promote alertness in senior dogs with their botanical oil formula. Results can be see within 30 days in some dogs. Both small and large breed food is available. 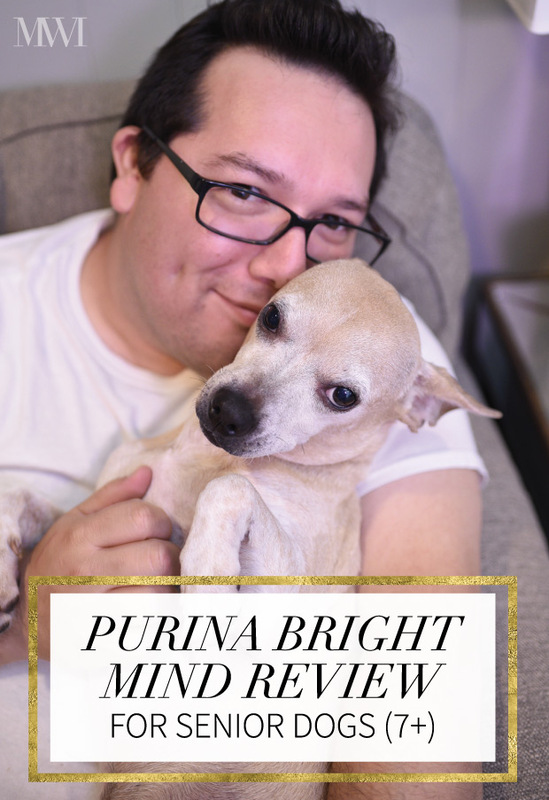 There are commercials about the Bright Mind food featuring Lady, a gorgeous pooch, so we had heard about it before shopping for it and liked the overall benefits of the food. 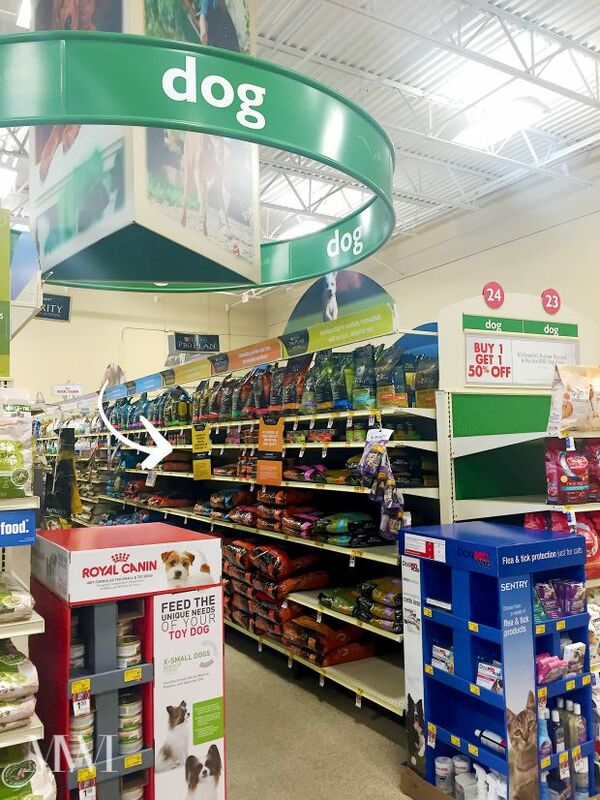 The PetSmart we went to had a little interactive screen featuring the commercial near where the Bright Mind food was stocked. Being that Pee Wee is 10, we decided to try it out for ourselves, so we went on a family roadtrip to PetSmart. You can watch the video below to see Pee Wee’s HUGE Adventure– we booked a hotel (our nearest PetSmart is 60+ miles away) and made a weekend of it. We love to do little family vacays like this because they make Pee Wee (and us!) very happy and excited. You’ll love the video, I promise! 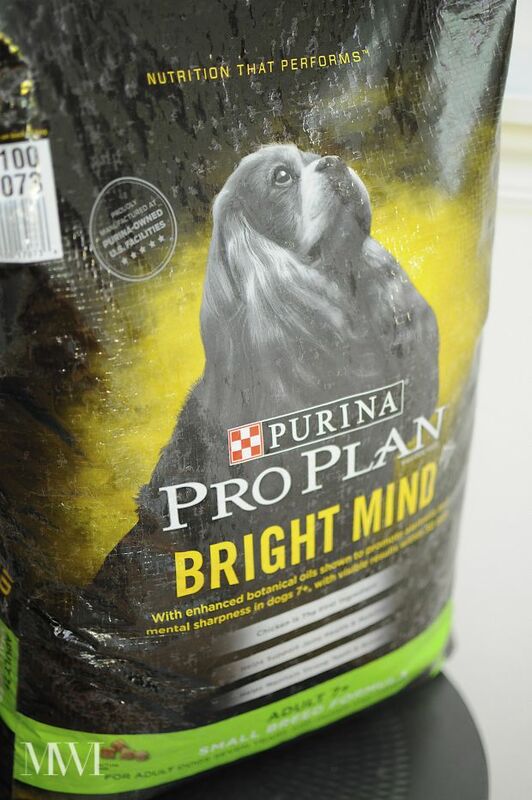 The Purina Pro Plan Bright Mind food was easy to spot in the dog food section. The Bright Mind food is in the yellow section seen below. My dear boy is notoriously a picky eater. I could tell you countless stories of trying to get this dog to eat in his younger years, but he just GOBBLED up this Bright Mind food. I really thought I’d have to bribe him or something with endless amounts of Food Network TV watching. I’ll let the following photos speak for themselves. Hey, Pee Wee, do you like the Purina Pro Plan Bright Mind food? Do you like it a lot or a little, Pee Wee? Pee Wee never lies, y’all! He’s been on the food for about nearly three weeks now, and we’re still waiting to see how the full 30 days go before giving a full review. I can say that he loves the taste, and that he does all of a sudden seem way more interested in his toys than he has in recent history. There’s a squirrel toy that he hasn’t touched in awhile that all of a sudden has gotten his attention, so that’s a positive. 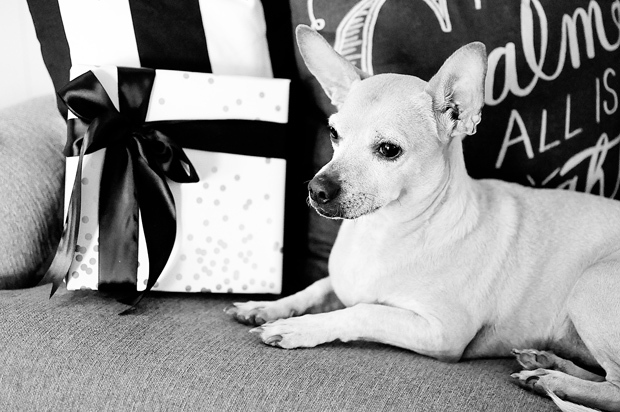 I think for all of us senior pet owners we just want to see our dog perform his favorite old tricks and be their feisty, playful, and social selves again. It makes me happy to see Pee Wee happy and active, so we really hope this Bright Mind food will help his alertness and make him want to be more interactive with Daniel and I.
I’ll be back with our final results and thoughts on the Purina Pro Plan Bright Mind food, but for now…so far so good. How many of you all have senior dogs in your life? Would you consider this food? Aw, I wish I had a fur baby. Pee Wee is adorable. Sharing this post for all the sweet dogs out there. I have four Labs…two are in the "senior" category. 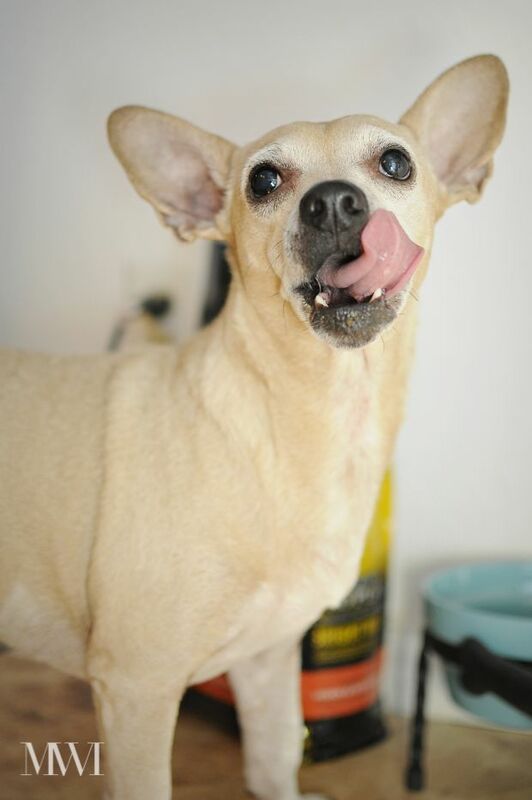 I feed all of my dogs organic coconut oil (an MCT oil) daily for the host of benefits it provides…especially brain function improvements/stability. They love it and would eat it straight from their jar of oil if I let them. 🙂 I wouldn't consider feeding Purina Pro Plan Bright Mind, however, it's full of useless fillers (corn and other grains) that are difficult for the dogs to digest and provide minimal nutrition.